Great Jake Bugg gig sounded awesome. Good guitar playing and also in key, good work Jake. Jake Bugg is an amazing artist. He’s so unique and talented and listening to his songs in Spotify does how insanely talented this man is no justice what so ever! I was mesmerised and blown away by him! I was pretty much at the front of the stage! I loved every minute! Only thing was the room was incredibly hot but the staff opened the fire doors which was good of them. I didn’t like how a lot of the crowd were really loud and talking through parts of the gig, I found that really irritating and inconsiderate but it’s not like we can shut everyone up for it! Overall amazing time and Jake Bugg was phenomenal!!!!! His performance was amazing I loved that it was so intermit and the lights and stage was amazing. His voice is amazing and it was such a lovely night. Fantastic from start to finish, thought that solo acoustic might be a bit dull but how wrong could I be! With his immediately recognisable voice; Jake Bugg is the sound of modern indie. The singer-songwriter from Clifton, Nottingham, is once again hitting the road and ready to play yet another amazing show. Jake Edwin Kennedy Bugg had been destined to be a footballer. With numerous medals, trophies and certificates to his name plus being scouted by professional teams it looked like his future was set until his Uncle Mark gave him a guitar at the age of thirteen and his life rocketed in a new direction. Relentlessly playing, he soon became absolutely dedicated to music and soon began gigging around the various venues of Nottingham. By the time he was 17, Bugg had created quite a name for himself and appeared on the Introducing Stage at 2011’s Glastonbury Festival. He was soon signed to Mercury Records and released his debut album the following year which was simply titled Jake Bugg. Despite the music being largely written by a creative team, the album saw Bugg shoot to fame after it went to #1 and sold over 604,000 copies in the UK. The Platinum certified album also earned a Mercury Prize nomination. People chimed to its laddish swagger and, bolstered by previous success, Bugg began to play a greater part in writing his own music for the second album. Shangri La was released in 2013 and includes the massive single What Doesn’t Kill You. Bugg’s latest album takes its name from Nottingham slang and is called On My One. Much like the name suggest, the album is not only the first to be entirely penned by Bugg but it was also largely produced by him, benefitting from Jacknife Lee being on hand. On My One features the baggy influenced track Gimme The Love and the aching ballad Love, Hope and Misery. Jake Bugg tickets are available through Gigantic right now! See him make a headline performance at Bath Forum on Saturday 4th of November 2017. The new year sees him take a stripped-down approach as he commences a solo acoustic tour which starts at Colston Hall in Bristol before taking him to London Palladium, Royal Concert Hall at Nottingham, Winter Gardens in Margate, New Theatre at Oxford, O2 Guildhall Southampton and Brighton Dome during March 2018. 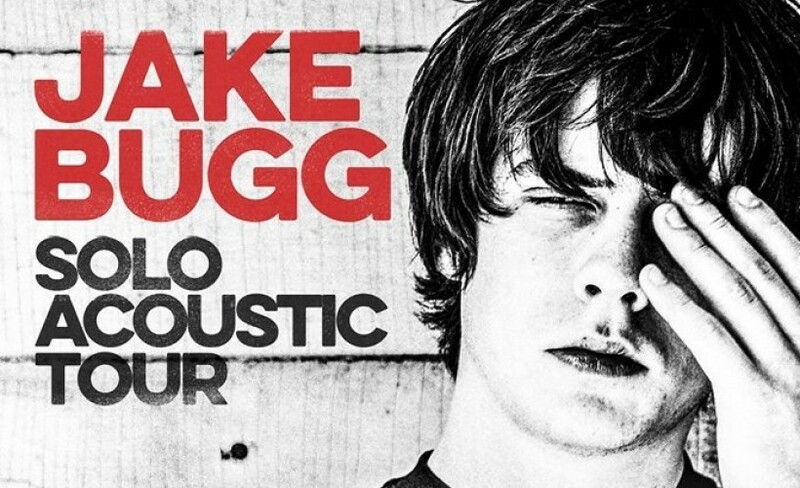 Jake Bugg gig tickets are always limited so we advise you book yours in advance.